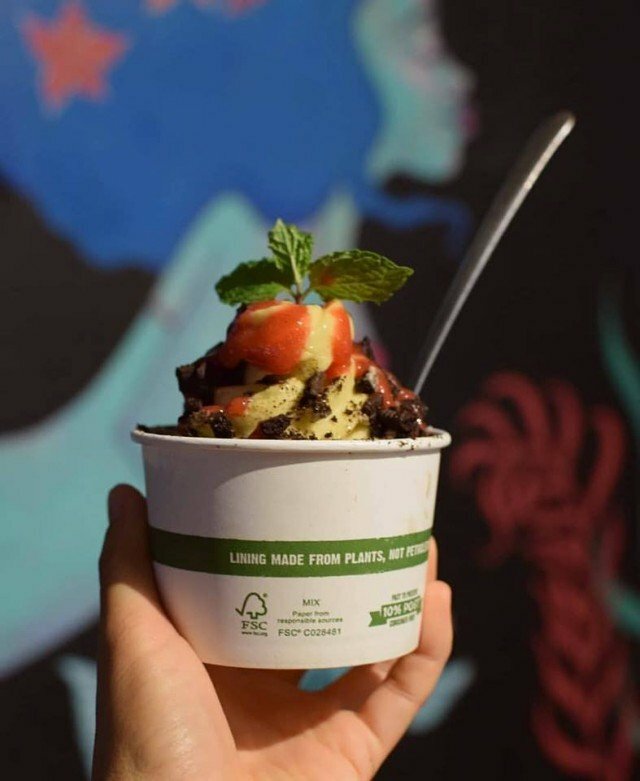 Choose your organic frozen yogurt from the day’s flavors (includes old fashioned vanilla, dutch chocolate, classic plain, and vegan/non-dairy or vegan/no-added sugar varieties). Select your blend-ins to flavor your soft serve (superfood/premium blend-ins add $0.95). Add your toppings ($0.95 each) and enjoy! 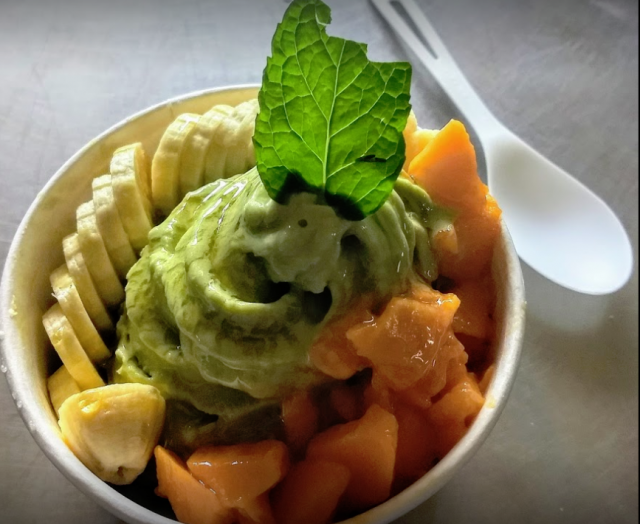 Keiki Bowls (one scoop and one free topping) are $5.95. 1. The 100% Fruity ($9.95) – Lilikoi, strawberry, apple banana, pineapple + banana sorbet; topped with coconut flakes and lilikoi drizzle. 2. The Tropical ($10.95) – Mango, pineapple and apple banana + classic or vegan yogurt; topped with coconut flakes, fresh fruit and lilikoi drizzle. 3. The Decadent ($10.95) – Oreo cookie, apple banana + chocolate yogurt; topped with chocolate chips, whipped cream and peanut butter drizzle. 4. The Superfood ($12.95) – Chia seeds, spirulina, blueberry, apple banana + classic, vanilla or vegan yogurt; topped with hemp hearts, fresh fruit and peanut butter drizzle butter. While not inexpensive, they just might substitute for a meal. Enjoy these cold drinks comprised of a combination of organic fruit blended with organic frozen yogurt. Eight choices include healthy, fruity or decadent combinations. Smoothies range in price from $7.95 to $12.95. Prices ranged from $8.95 to $11.95. The Spot also serves espresso coffee. 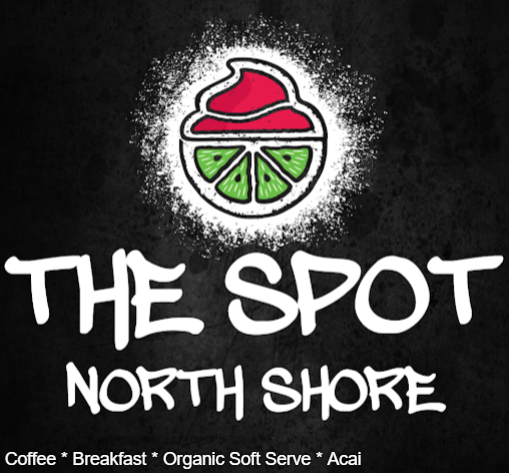 The Spot North Shore is located in the middle of the Princeville Shopping Center. The seating is at a covered food court surrounded by other restaurants, shops and the post office. For more of my blogs or to subscribe, go to the right-hand side of this page (full screen computers). Mahalo!